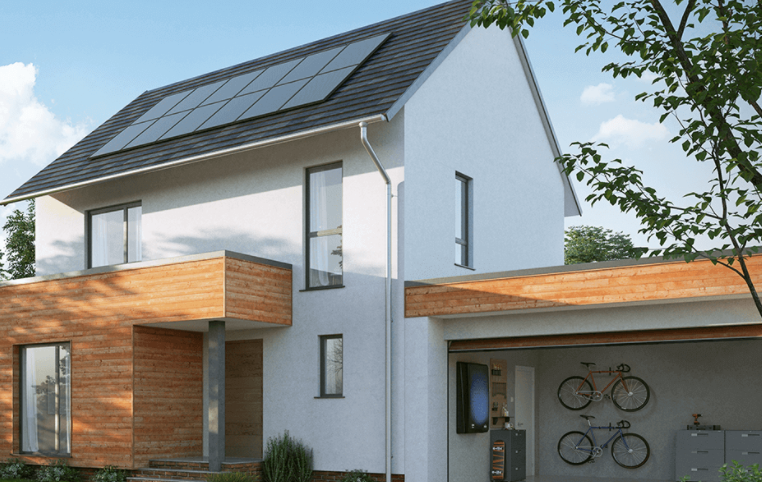 Late yesterday Nissan announced the launch of Nissan Energy Solar, what it has described as an all-in-one solution to make UK homes more energy self-sufficient. The system will combine Nissan’s existing xStorage battery solution with a new solar offering and home energy management system which it says is capable of saving consumers as much as two-thirds on their energy bills. And the firm appears willing to trigger a price war in the UK market, offering to supply and install a six-panel (1.5kWp) rooftop solar system for as low as £3,881, including VAT. It is unclear which manufacturers Nissan has turned to for its panels and inverters at time of publication. The price compares favourably to similar offerings. IKEA, for example, charges £4,412 for its entry-level, low-cost six-panel solar system, however a discounted price of £3,750 is available for members of its IKEA Family scheme. Nissan’s solar offering is to be launched in three separate configurations. ‘Value’ will be the company’s most competitively priced solution, while ‘Efficiency’ will use more efficient panels for an optimised output. A third offering, ‘Design’, will use building-integrated PV panels. Customers can choose to have either the solar panels installed on their own or combined with Nissan’s xStorage system, which uses second-life batteries from Nissan’s range of electric vehicles. Francisco Carranza, managing director for Nissan Europe’s energy unit, described the new product launch as another step towards supporting its commitment to innovative energy solutions. Nissan entered the UK’s domestic battery storage market in late 2016, partnering with Eaton to introduce the xStorage which retails at around £3,000 for a 3.5kW system. But the new launch of solar products has Nissan following in the footsteps of other energy giants such as EDF and E.On who have both launched tailored offerings in the last 12 months, despite continuing lacklustre deployment under the feed-in tariff.